From packing the diaper bag to creating the right background, here are your first photography lessons as a new parent. My son is approaching his 11th birthday. Wow, time sure does fly. He certainly isn’t my 6 lb baby anymore. Cracking open his baby book brings a smile to my face, along with a deep sense of nostalgia. Like most new mothers, I took hundreds (if not thousands!) of pictures, trying to capture every milestone, every moment on film so I could cherish them forever. However, I do have one regret - of all the pictures I took, there are very few where I can say, “Wow, what a brilliant photo". I now find myself looking at photo’s thinking “If only I used a different approach, if only I angled the camera slightly to the left, if only the lighting was better, if only..."
This article is designed with new parents in mind. In 11, 20 or even 50 years down the road, you may wonder where the years have gone, but hopefully – if I do my job right – you won’t be wondering why you took 600 identical photos which weren’t at all impressive. Firstly, take your camera everywhere. Your diaper bag is already full of diapers, receiving blankets, bottles, wipes...might as well throw your camera in as well! Oh, and don’t forget the extra (charged) batteries. What good is a camera that won’t turn on? Babies don’t come with a user manual, so knowing when and where special moments are going to happen is impossible. If you have your camera with you at all times, you’ll be prepared and equipped for when your baby has his first smile...erm...or was that gas? When my son was born, I wasn’t blessed with owning a digital camera (were they even around then?). With my film camera, every roll of film I used turned into 24 prints – actually, make that 48 prints, I had to get doubles. I’m still trying to sort through boxes and boxes of photos! Now, digital cameras allow us to take as many photos as our hearts desire - or our memory cards hold - without weighing us down with boxes of less-than-terrific photos that we just can’t bring ourselves to throw away. So, utilize this technology! Experiment and don’t be shy. Take a load of photos - for some reason pressing the delete button on your digital camera doesn’t cause as much guilt as throwing out a physical print of your bundle of joy. Okay, so we’ve already established you need to take your digital camera everywhere so you’ll be prepared for everything. 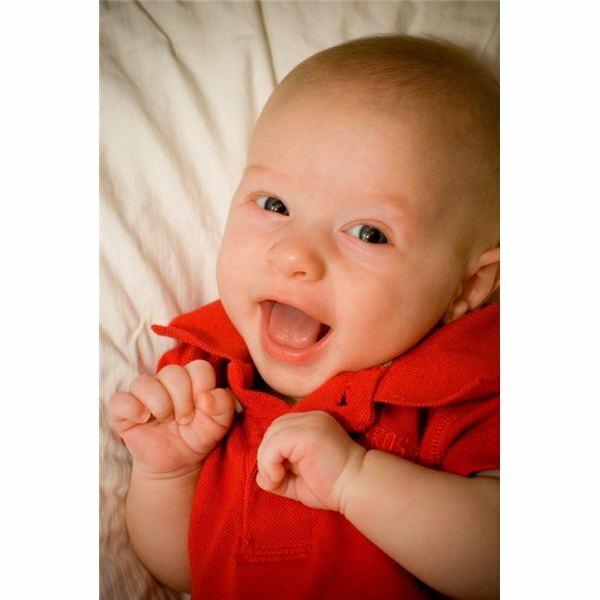 However, if you are planning a baby shoot, don’t forget to take the time of day into consideration. Your little bundle of joy isn’t going to “smile for the birdie" 10 minutes into what should be his nap time. I tend to find babies are the most cheerful in the mornings. Find your baby’s “happy time" and go from there. Now that you know how to prepare for taking the best baby pictures, part two of this article series will teach you tips and tricks on how to actually capture your baby on camera. Be sure to check it out! All parents want fantastic baby photographs, this guide will provide you with baby photography techniques and tips for new parents using a digital camera. From packing the diaper bag to creating the right background, here are your first photography lessons as a new parent.